Axiom has a relationship with a market leader supplying pallet handling conveyor parts and subassemblies to system integrators. With the supply of these parts and subassemblies alongside our own range of pallet handling accessories, Axiom is able to deliver turnkey pallet handling solutions. 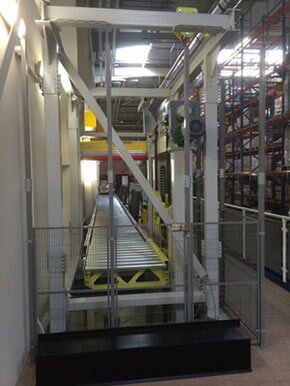 The systems include roller pallet conveyors with direct drive or pallet accumulation, lift up transfers, turntables, chain conveyors, transfer cars, pallet lifts and gravity roller systems.